Article-Do you really need to pay for that 30,000-mile service? First off, some automakers include the first few years of scheduled maintenance in the cost of the car. If you are lucky (or smart) enough that you were able to take advantage of such a deal, congratulations! You do not have to pay for your 30,000-mile service. 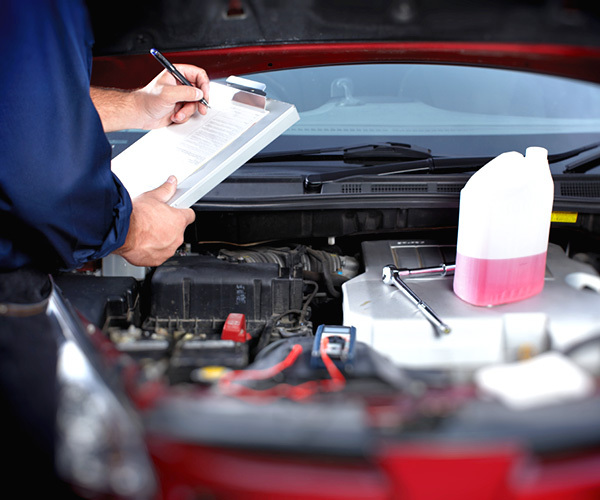 A new car's first scheduled service appointment is usually at 15,000 miles, which mostly consists of examining fluid levels and topping them off, taking a look at the brakes, changing the air filter, and there's probably an oil change in there, as well. After another year or so on the road, though, your car probably needs a little more attention. The 30,000-mile service is typically the second such requirement of a car's maintenance routine, although it can vary somewhat from manufacturer to manufacturer. Before you go for this service, spend a few minutes reading your car's manual, where the 30,000-mile service should be described. Don't go by the booklets or other materials that the dealership provides, because they might not be honest. Be prepared for the service manager at the dealership to try to convince you that your car needs stuff it doesn't actually need, which can easily cost you hundreds of dollars more than your service should actually be. That's why it's helpful to be able to point to the manufacturer's actual recommended service schedule for the car. If you live near a few different service centers, it might be helpful to get itemized quotes for your service online or over the phone before you choose a place and make an appointment. That way, you can comparison shop, and you can mention your quoted rate if you start feeling the high-pressure sales tactics coming. And before we wrap this up, let's take a moment to discuss a related myth. According to the Federal Trade Commission, a government agency that helps protect consumers, it is illegal for a dealership or your car's manufacturer to void your warranty just because you chose to get your service done somewhere else. If you can prove that your maintenance on the broken part is up to date, the dealer has to honor your warranty coverage. If the dealer claims that poor maintenance actually caused the damage, they have to be able to prove it. (And if you're handy with tools, you can even do routine maintenance yourself. Just keep good records to protect yourself.) So don't let that scare tactic pressure you into paying for stuff you don't actually need the next time you're at the service counter."